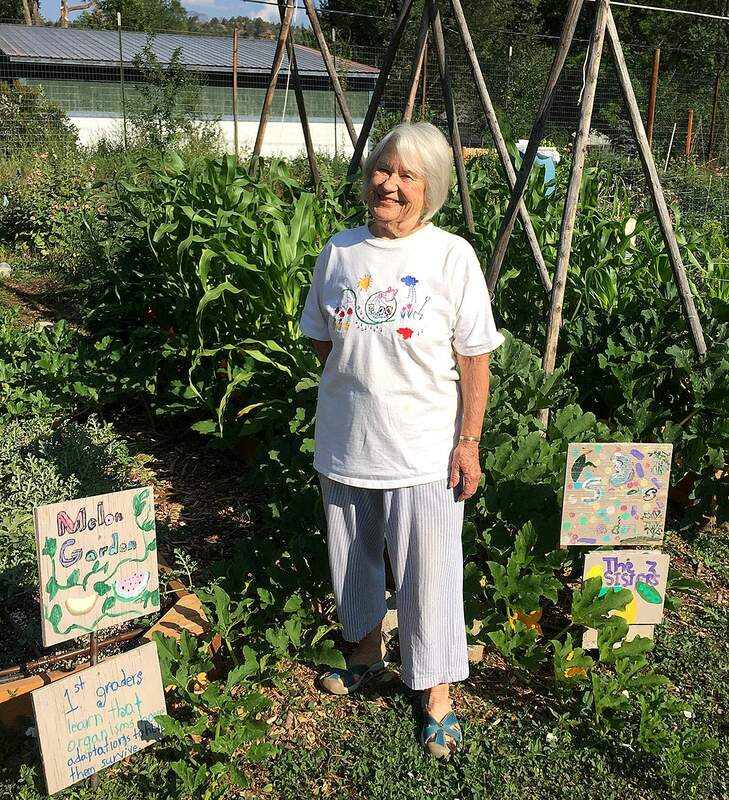 A 90th birthday celebration for master gardener Marye Jackson will be held Sunday at Ohana Kuleana Community Garden at 30th Street and East Sixth Avenue. When I took the job as horticulturist with the Colorado State University Extension Office in the summer of 2007, I wanted to take a couple of months to get to know the local farmers, ranchers and gardeners. Coming from South Florida, and the tens of thousands of acres of tomatoes, peppers, corn, green beans and sugarcane, I was happy to once again see small-scale farms and backyard and school gardens. I also had the opportunity to visit Shared Harvest Community Garden off the Florida River and was excited to see a “bunch of gardeners” growing such quality (and quantity) produce. One of those gardeners was Marye Jackson, who is celebrating her 90th birthday this summer. As we walked the garden rows, I was challenged to keep up as she bopped around the peas, tomatoes, squash and flowers. She had plenty of questions – as did I – and at that moment, I probably met my first “master gardener” in La Plata County. Ever since that day in July, she has set the standard for what I would want in any volunteer. If you have time, read the article in the Aug. 13 Durango Herald about longtime 4-H volunteer Emma Shock. That is how we also feel about Marye. She is an advocate for those with a quieter voice; she is a lifelong learner who is constantly challenging the way we raise our food and plants; and she is energy. Never stopping, she continues to plant and weed and harvest. She has taught us to grow as people, as a community and as gardeners. Years ago, when my daughter was just getting excited about reading, Marye would give me books – some of which shaped Marye when she was a young girl – to give to Elena. She knew what a 7-year-old would get excited about. She taught Elena – vicariously through a bunch of books – to grow. This Sunday at the Ohana Kuleana Community Garden, Marye will be honored. It will be a celebration for a pillar of our community. But knowing her, the celebration will be quick because there’s fruit to be picked, weeds to be pulled and questions to be asked. The Ohana Kuleana Community Garden will host an open house from 9 a.m. to 2 p.m. Sunday at the garden, 30th Street and East Sixth Avenue. 9 a.m. and 1:30 p.m., garden tours.10:30 a.m., Vivace Mandolin Ensemble.11 a.m.-1 p.m., farm stand open.11:30 a.m. to 1 p.m., pie-tasting contest.Noon, toast to celebrate Marye Jackson’s 90th birthdayFor more information, visit https://bit.ly/2P6SVMZ.